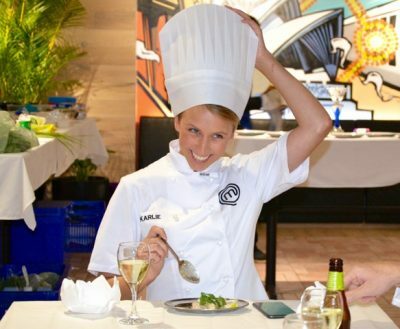 Experience Thrill fun Cooking competitions in a MKR or Master Chef style for staff, employees, corporate groups, celebrations and team building activities. Available in all venues, hotels, kitchens and offices. Throughout Sydney, Blue Mountains, Hunter Valley, Central and Gold Coast or Southern Highlands. Select your desired culinary tastes, cuisines or food culture from around the world. From Italian Classics, Spanish Tapas to tantilising Thai and French firey Flambes to finish with delectable desserts, is a Thrill food and catering speciality. 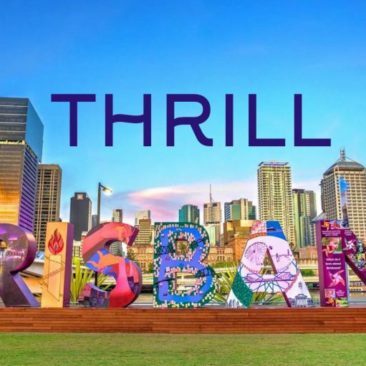 Experience Thrill’s Master Chef Cooking and MKR’s competition style; we ensure friendly food challenges as a shared team building activity that results in deliciousness! Compete and complete #1 course Mystery Box Cook Offs, or Innovation Tests. Explore your teams taste-buds with our range of wonderful degustation menus matched with wines and beers and easy to cook recipes. Thirsty whilst cooking cooperatively in the kitchen? We love matching Beers, Ciders and local Australian wines with menus. Celebrate and be rewarded together this EOFY with the food your hands prepared. Donate the extra meals to help homeless, poverty and charities support others. Share the delights cooking and eating a special Christmas banquet. We cater for small and large corporate group events, indoors or outdoors. Including all ingredients, mobile kitchen facilities, recipes and terrific cooking facilitators. 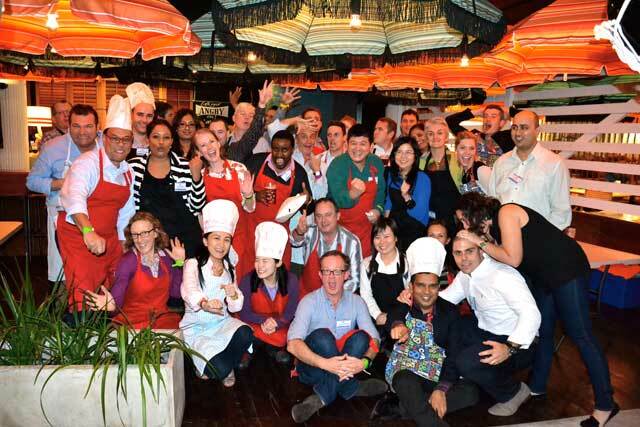 Become a Masterchef corporate champion cooking team. Light hearted and healthy as Po or competitive and fiery as Gordon Ramsay. Teams enjoy sharing their foods, learning or refreshing cooking, baking and patisserie skills. Enriching the flavour of life and sharing. Thrill cooking events are bursting with flavour. 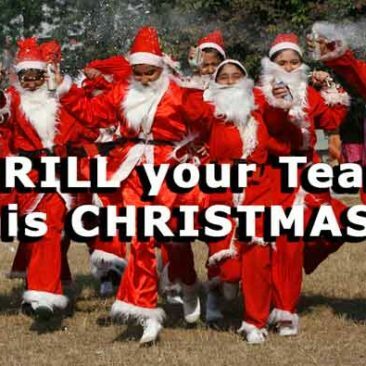 No boring or lame team building activities. 100% engagement from the start. Sample Delicious Food Fusions, BBQ’s, Wood fired Pizzas, Thai, Tacos or Tapas food sensations. Then create and cook your own under supervision and professional Thrill catering guidance. Select 1-5 courses which can be complimented with degustation menus. Wonderfully tasty and zesty menus that cater for all corporate groups and employees from 10-500 employees and staff. Cooking venues from Sydney’s SCG, ANZ stadium, Q Station, Crowne Plazas, Novotels and at all conference venues. 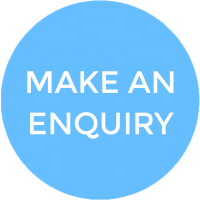 We supply mobile kitchens, outdoor team building experiences or indoors in kitchens and hire restaurants to take over MKR style in all locations. From Cairns to Brisbane to Gold Coast to Sydney and within Melbourne. Your teams get to create their own menu or follow our recipes for success. Once the cooking countdown timer starts, get shopping or head for the pantry to select ingredients and plate up sensational dishes, fit for a king. Recently Accenture Master Chef whisked their corporate team away into the stunning Royal Botanic Gardens for a fine dining 4 course cook off. All dishes were backed with terrific wines. Whilst MARS tested their food science skills in true Heston Blumenthal fashion on the Central Coast Beaches with fresh whole Fish and Chickens as their selected proteins. 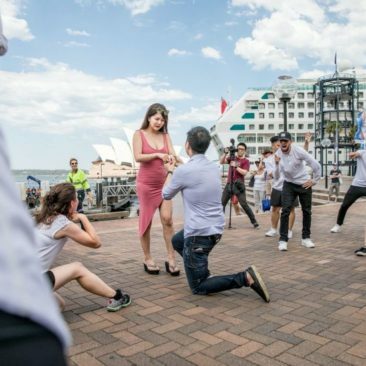 NDY experienced a major Cook-Off of hungry portions where 120 delegates banqueted on the outdoor Darling Harbour Terrace overlooking Sydney waters. Mercedes Financial Team created a cultural revolution with 5 varied cuisines from Austrian schnitzle servus to Indian Butter Chicken and Thai Curry dishes all served in Melbourne for over 100 aspiring chefs. Talk to Thrill to discuss your Master Chef cooking experience for conference delegates everywhere. Providing the solution to large corporate group cooking activities. Let us know the Date, Location, Cuisine and Chef Hats 1 basic course, 2 courses 3 courses (most popular for team building events). Or 4 star, fine dining experiences and degustations matched with drinks. Our logistics team coordinates the venues, restaurants, outdoor spaces. Turning up the heat and spicing up the fun to produce great cooking events. Timing is dependent on selected course amounts. We suggest minimum of 2 hours. For maximum benefit, learning great cooking skills and eating the results allow 3-4 hours. Can easily be incorporated as part of your conference activities or off site meetings. 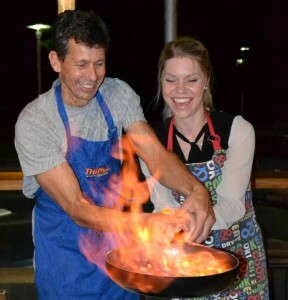 We cater Team cooking experiences for any sized group from 10 to 1,000 guests. Pancakes Flip Out. Saucey, Savoury or Sweet treats. Big Breakfast Cook Offs with Chorizo, Chipolata, Beans, Tomatoes, Eggs any way you like it. Topped off with a fresh crusty sourdough roll. Aussie and Seafood BBQ’s on the verandah, rooftop beer garden or by the pool at conferences. Cook Off against colleagues and other departments. Spanish Tapas Cooking with Flavour. Italian Tradition and Trattoria’s created in your offices. Wok On Fiery Fast Creations with our high powered wok burners. Flambes & Flaring with overproof alcohol that goes up in smoke. Desserts and Sweet Treats made in minutes and is decadent. Chocolate Making or Macaroon baking. Multi Cultural & International Foods include a selection of dishes. Competitive Cooking skill Activities and real judging panels to select the best dish. Immediate tasty Rewards by eating the results. Great investment by blending the cost of The Team Building Activities with the food & drinks all served up together. Degustation menus, matching drinks to each course. Beer Matching in Hunter Valley and Southern Highlands. Wine tastings with each dish. A great way for corporate teams to get out the office and share goodness from hearth to the heart. All quality Master Team Chef Cooking Equipment and Cookers are provided. 1hr is the minimum time for a quick fix or innovation / Mystery Box cooking challenge. 3-4hrs is ideal for a Master Chef team building cooking session with time to sit and enjoy a 2-3 course menu. Enjoy the opportunity to cook a sensational multi-course meal supplemented with a drinks package. Then eat, mingle, drink, relax and digest the results. Breakfast is the most important meal of the day. Setting us up for the day ahead. After many requests it’s on and we are smashing it out. Our newest cooking team building activities addition. The Big Breakfast is a healthy morning cooking tradition for Office Teams, Blokes and Businesses to bond in the mornings before work. Getting the right balance of foods, healthy GI Glucomic Index rich in anti-oxidant foods Start your business or conference day with the right ingredients. Pancake Flip Out. Berries, Yoghurt, Ricotta. Drizzled with real Maple Syrup. Combine both for the works. Master Chef Team cooking experiences can be conducted with mobile kitchens and cooking outdoors in beautiful locations. Cooking can also take place indoors at Offices, Restaurants & Kitchens available throughout Sydney, Melbourne & Brisbane. Your next group food experience can be delivered in your office, at our venues, in Hotels, Conference Venues, Resorts, event spaces and local parks. Unsure of what you need to get cooking? Call 02 9630 2222. 1 THRILL Hat; 1 course. 1 major Cooking Skill, Mystery Box or Innovation Cooking Test. 2 THRILL Hats; 2 courses, 2 Dishes served up. Indoors, Outdoors or Mobile Kitchen to you. 3 THRILL Hats; 3 Course Menus, Entree + Mains + Desserts. 4 THRILL Hats; 4 course Fine Dining & Educational Cooking + dining experience. Note: minimum numbers or cost is based on 15 people, food and content dependent. For large corporate cooking class groups please call the THRILL events team on 02 9630 2222. From a 10 person team to cooking a banquet to feed extended teams. Fully mobile Master Chef cooking experiences in your offices. we set up in your kitchens, on balconies, by the beach in wineries, on sailing boats in Sydney Harbour or even in a barnyard. 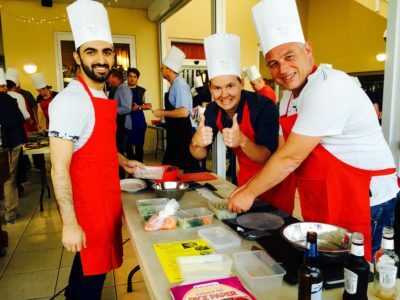 MERCEDES-BENZ, Mulgrave – A sensational National Diversity team building day was experienced by the Mercedes-Benz team in their Head Quarters in Mulgrave Victoria. Their business challenge was to create 5 nationally diverse dishes to share banquet style. We cooked Mexican; Italian; Thai; Indian & Spanish cuisines. Ensuring the Mercedes-Benz team shared their diverse experience and exceptional cultural talents. BOOST JUICE from Rouse Hill – A young and very fresh team experienced cooking to make a positive impact on their own diets and extend their skills well beyond juicing. Our facilitated Cooking Class was hosted in Sydney CBD. Where we served 3 courses with the Bundaberg smooth Rum flambe, caramelising the Bananas topped with molten smooth Lindt chocolate, went down a treat! 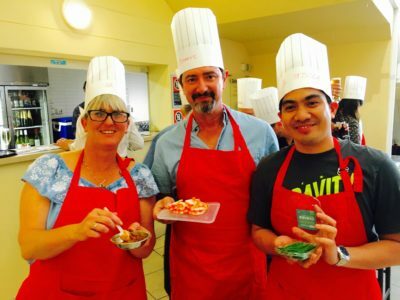 SPECSAVERS enjoyed Vietnamese style cook offs in a real Port Melbourne restaurant. 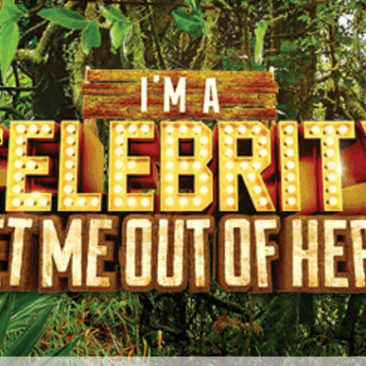 Hosted by our popular local restaurateur. Teams enjoyed learning some special hints & tips to make & enjoy very tasty, spicy and healthy eats. MLC slipped on the Chef aprons in The Rocks Sydney recently to experience Asian, French & Mediterranean cuisines including inspired vegetarian & curry dishes. A fantastic flambe finish with lychees, strawberries and double cream in caramel – oooh la la!